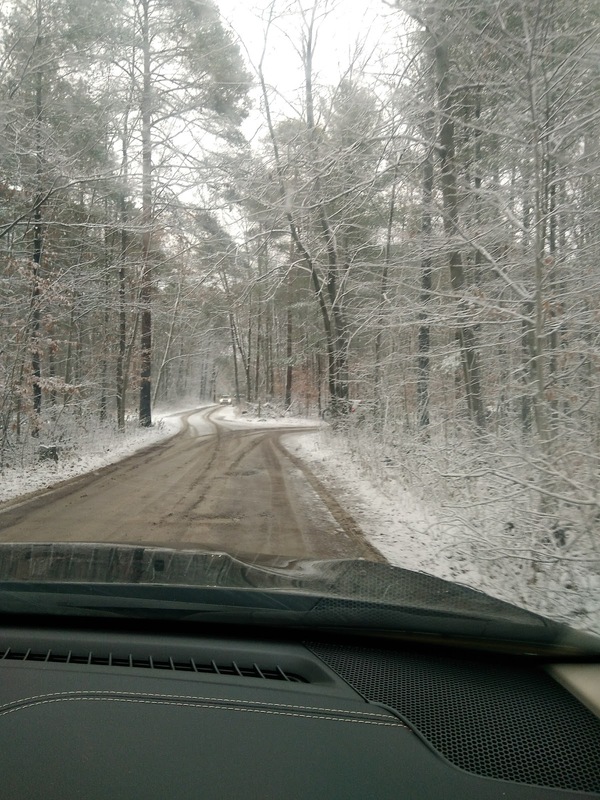 This was the scene today in Durham Forest. It rained all night in town, so to pull up and see snow was a bit surprising. It was ALSO surprising to see Whitby's own Emily Batty, one of the world's best women's mountain bikers (top 5 if you believe in Olympic results), and her husband (who was doing pretty impressive wheelies through the parking lot)... and about a dozen other cars parked with bike racks! 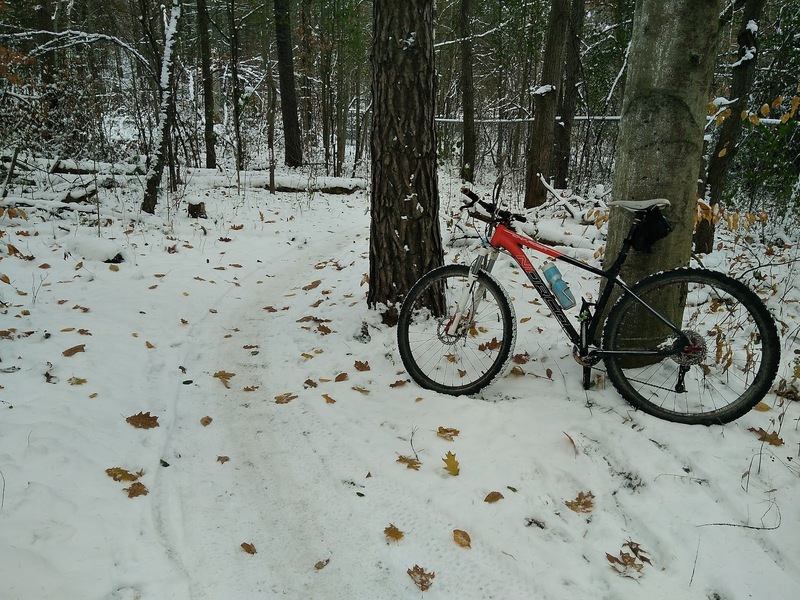 Fortunately the temperature was right around zero... still a bit of mud, but not too terrible (and nothing that would do too much damage to the trails I hope - always have to think about that!). By the end the ice pellets and snow had built up enough that the mud was a non-factor (but not cold enough to freeze up the moisture). It was pretty perfect. Last week it hadn't rained, so it being below zero wasn't a problem - there wasn't any standing water to freeze up under the snow. The roots were very very slippery, but the traction on the snow was perfect. 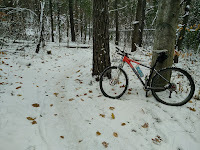 That's the real trick with snow riding - fat bike, 29'er, CX - none of them can deal with ice. None of them can actually deal with a lot of unpacked snow (despite the fat bike hype, they really can't). There's a sweet spot, and when you get it? Ride on, baby. Everything is slippery. Roots especially. I had my back wheel fly out on me and had a "moment" on what would barely register as a curve... just a tiny little wet/cold root and whoooosh. Angle of attack is everything. Perpendicular. Don't rely on grip on roots - not for traction to move forward, not for steering, it's just not there. Speed is your friend - use your momentum. It's also your enemy if you crash... but mostly it's your friend. Be careful. Enjoy. It's fun.